1859 September 14. 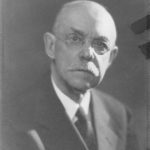 Wainwright Bacot Gervais (1859-1948) was born in Aiken, South Carolina. He was the son of Paul Trapier Gervais Jr. (1824-1874) and Jane Caroline Lance Gervais (1827-1892), both from Charleston, South Carolina. Their child was born in Aiken because his mother was visiting there from their home on Johns Island. 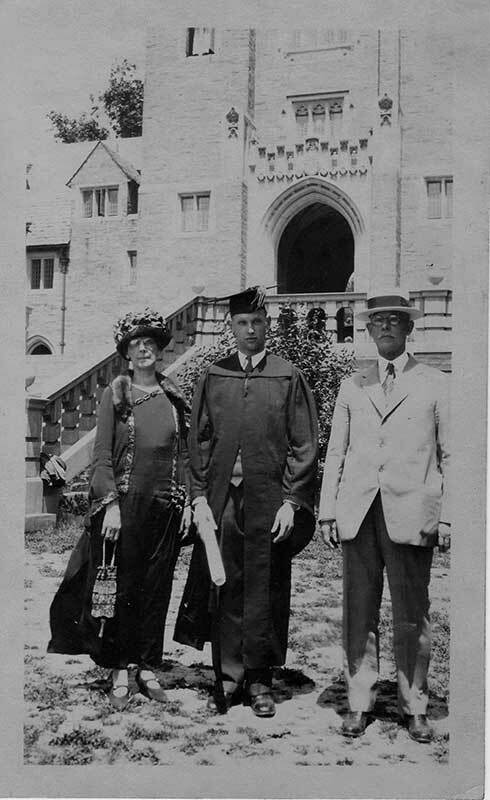 She taught school on Johns Island, and her son W.B. had only a few years of formal education until he was thirteen. Later in life he was a strong mathematician and reader. 1861-1865 The Civil War took place. W.B. Gervais was just a young child. He grew up on Exchange plantation on Johns Island. 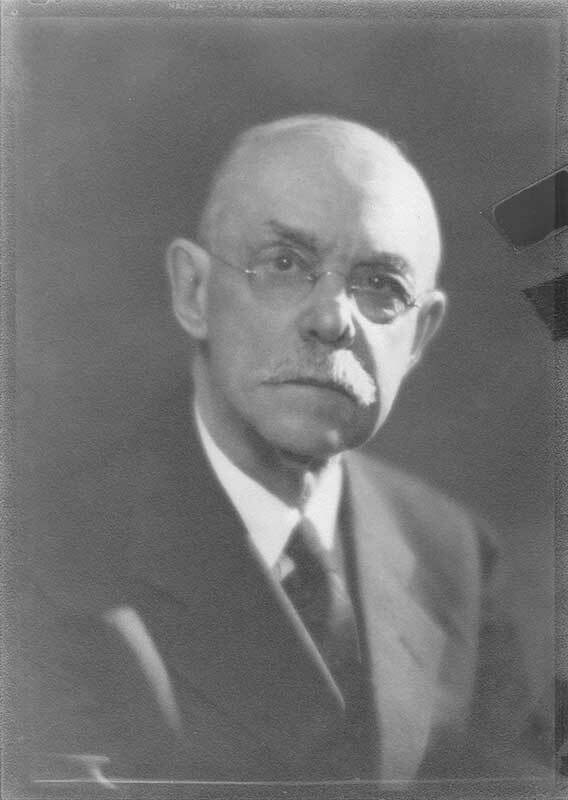 His father, Paul Trapier Gervais Jr., had been a prosperous man of affairs and an honored citizen of South Carolina, but because of the war he lost almost everything. During this time, his father even burned their house so that it could not be used by Union soldiers. 1870 Katherine Grattan Lebby (1870-1939) was born in Charleston, South Carolina, in the family home at 62 South Battery (then 40 South Bay). She may have been premature–her father Dr. Lebby had held her for a while until she began breathing properly. She was never strong physically. 1874 When W.B. Gervais was fifteen years old, his father, Paul Trapier Gervais Jr., died, leaving his widow with four surviving children: Mary Wainwright (1855-1944), Paul Trapier (1857-1894), Wainwright Bacot (1859-1948), and Lucian Lance (1870-1947). 1877 At age eighteen, W.B. Gervais was made superintendent of a cotton plantation on James Island (possibly a property of the Lebby family, friends of the Gervais family). 1880 At age twenty-one, Gervais left South Carolina. 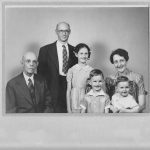 He decided to leave for Kenosha, Wisconsin, because his mother Jane Lance Gervais and his younger brother Lucian Lance Gervais were already in Kenosha. Kemper Hall, a preparatory school for girls, had been founded there in 1871 by local Episcopalians. Jane Lance Gervais had become a widow in 1874. She was probably attracted to Kenosha because the Episcopalian Sisters of St. Mary were taking over Kemper Hall that year. Perhaps she went there to teach, have housing, and have schooling for her youngest boy. 1880-1883 W.B. Gervais worked in Kenosha as a laborer for the Northwestern Wire Mattress Company, which later became Simmons Manufacturing Company. 1883-1890 Gervais moved to Chicago, Illinois, and secured a position as shipping clerk for the Mechanical Rubber Company. 1889 The Variety Manufacturing Company was founded in Chicago. It manufactured steel doors, steel rolling shutters, art metal doors, and Kal-O-Mine doors. 1890-1892. Gervais worked for W.H. Chenoweth and Company, a steel and iron business in which he gained much technical and business experience. 1893 January 1. At age thirty-three, W.B. Gervais, along with William A Cross, assumed active control and management of the Variety Manufacturing Company. Gervais signed personal notes for the value of the plant, with the provision for the release of said notes when individually liquidated. 1895 April 7. 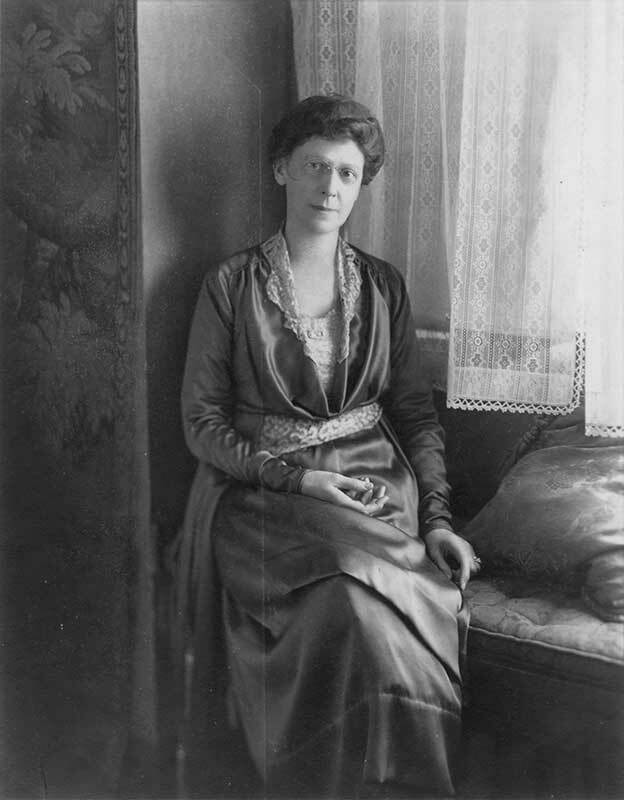 At age thirty-six, W.B. 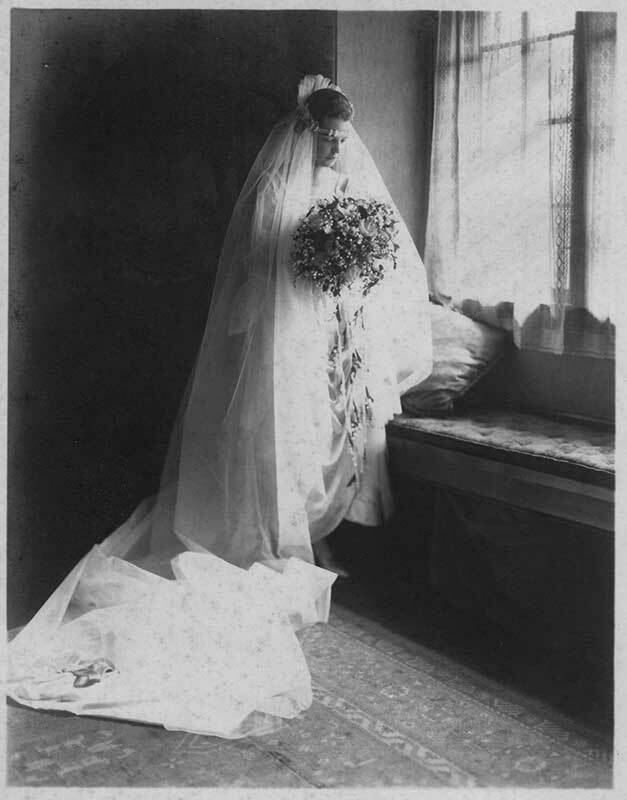 Gervais married Katherine (Kate) Grattan Lebby (1870-1939), age twenty-five. Kate Lebby was a daughter of Dr. Robert Lebby Jr. (1831-1907) and Mary Bee Lebby (1835-1917) of Charleston. W.B. knew the Lebby family and on a visit to Charleston asked to marry Kate. The marriage took place at Fort Johnson on James Island, where the Lebby family had moved in 1872. W.B. had been reared Episcopalian and Kate had been reared Presbyterian. W.B. and Kate Gervais settled in Chicago, living in a boarding house near Madison and Kedzie. Kate would ride a bicycle to visit him at work. Because she had been raised with servants and was now living in a boarding house, Kate did not learn to cook until her older child was born. They lived at 847 Walnut St.
1903 Between 1893 and 1903 Gervais and his associates came into full possession of the Variety Manufacturing Company. Gervais was elected president of the company. The company’s plant was moved from its original location at 52 N. Clinton to 2958 Carroll Ave., and the name was changed to Variety Fire Door Company. 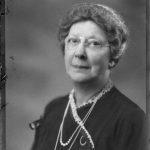 1898-1903 The couple had two children: Katherine (Kay) Wainwright Gervais (1898-1981) and Paul Trapier Gervais (1903-1963). Both children were born in Chicago. 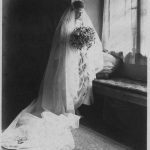 1905 October 10. W.B. Gervais obtained a Canadian patent for a metal frame and doors for his business. He also had at least two U.S. patents for his products. 1913 W.B. 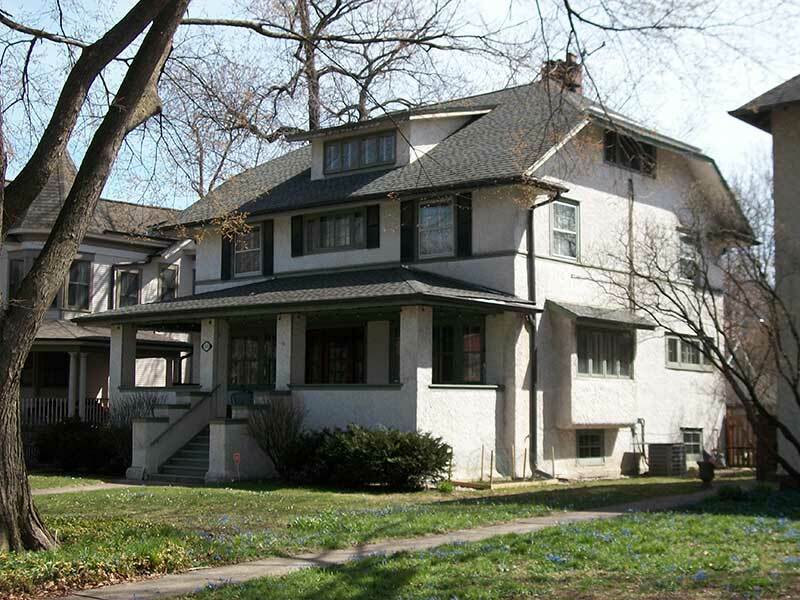 and Kate Gervais built a house at 160 N. Elmwood in Oak Park, Illinois, with W.B involved in the design. Kay was fiftteen and Paul was ten. 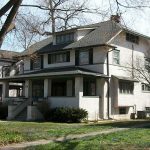 The house was next door to 150 N. Elmwood, the home of Robert and Blanche Weyburn Kerr, and there was a yard in between. 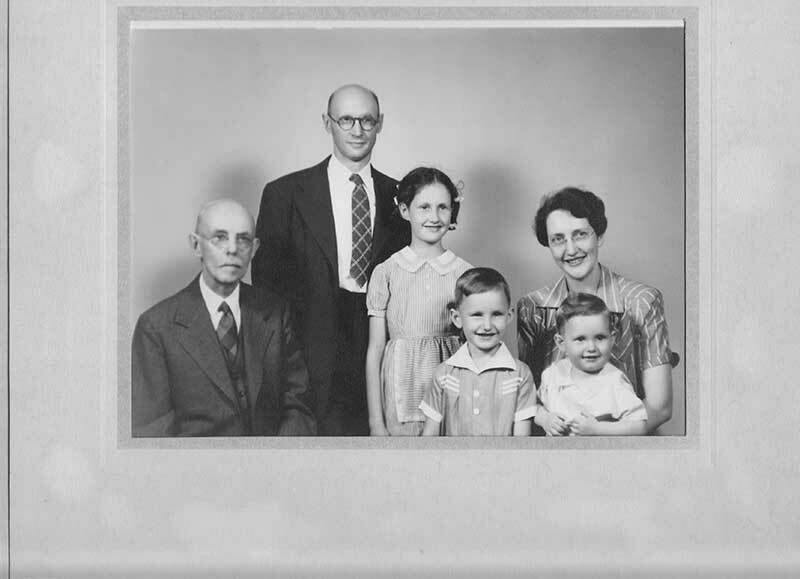 The Kerrs had taken in Blanche’s divorced sister Jane Weyburn Saxby and her three children. 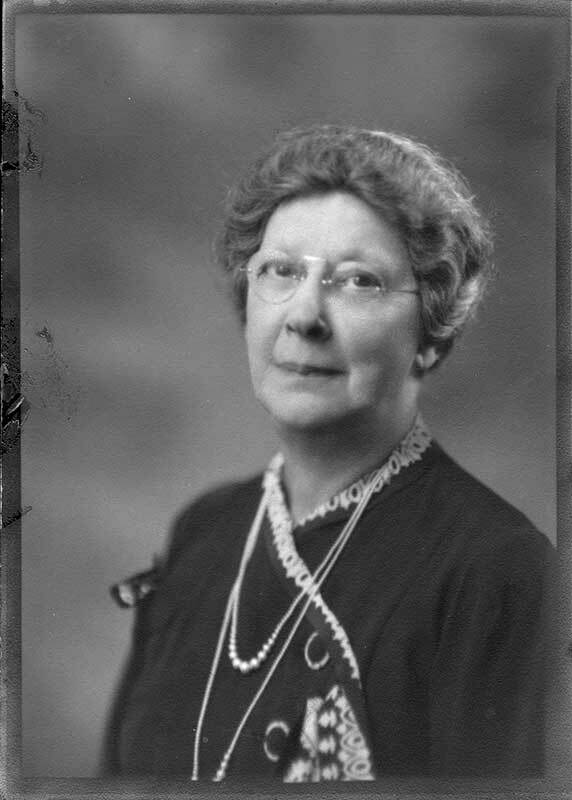 The youngest of those was Harriet Helena Saxby (1909-2006), who would later marry the Gervais’s son Paul. 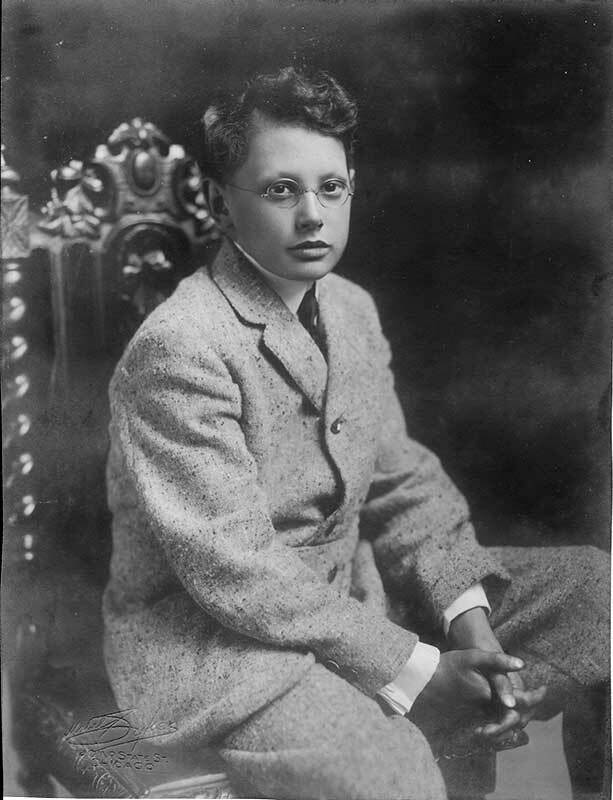 1913-1917 At age fifteen, Kay was sent to preparatory school at Kemper Hall in Kenosha, Wisconsin, at the insistence of her mother, who thought her father was spoiling her. W.B.’s mother and brother were already living there. Kay stayed at Kemper Hall for eighth, ninth, and tenth grades. When she entered Oak Park and River Forest High School, the principal enrolled her as a sophomore instead of as a junior. Kay was so upset by the situation that she completed that year and then never returned to high school. 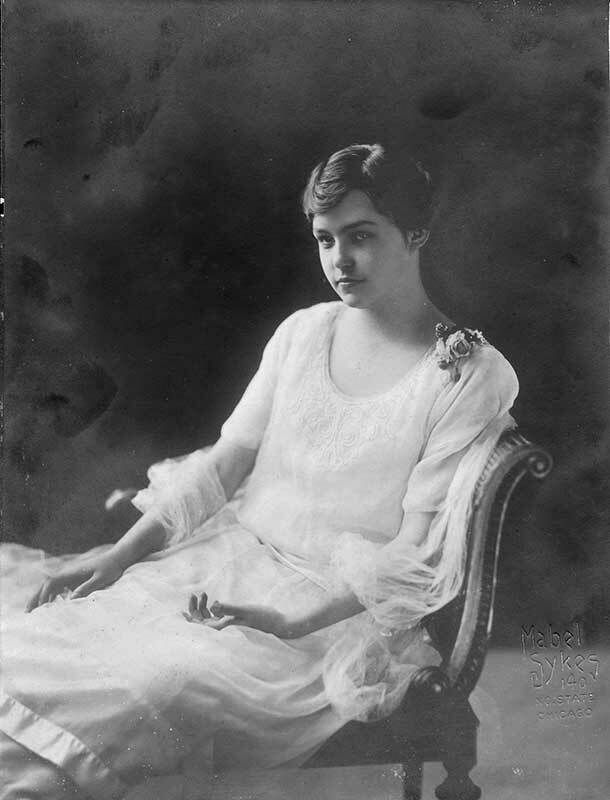 Had Kay not been held back a year and stayed with her class, she would have graduated from the high school in 1917 with Ernest Hemingway. 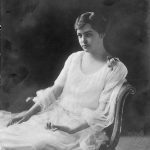 1917-1918 During this time Kay visited family in Charleston and made her debut there at the St. Cecelia Society Ball. 1914-1918 Before and during World War I, the Variety Fire Door Company was very successful, at that time basing its operations on a capital stock of $150,000. 1919 Sometime during the year, W.B. and Kate took a trip to Cuba. 1919 September 20. 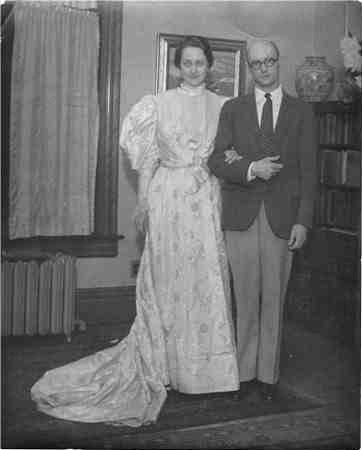 Katherine Wainwright Gervais married Howard Gray Muzzy (1895-1969). 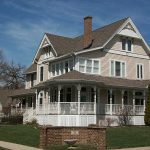 They resided in Bloomfield Hills, Michigan, and had two children. 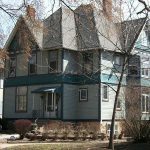 1919 W.B. 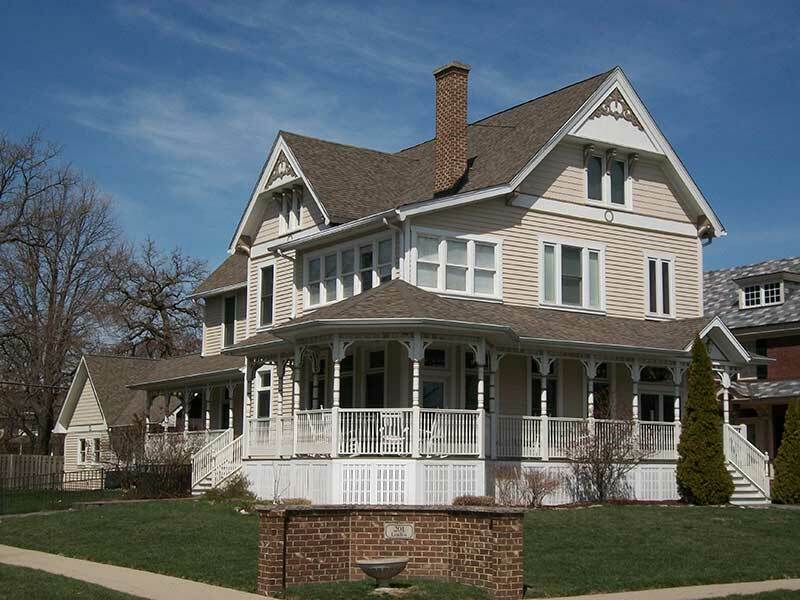 Gervais bought the large Italianate Victorian, built in 1886, at 201 Linden Ave. in Oak Park. The original owner was William Henry Stennett. 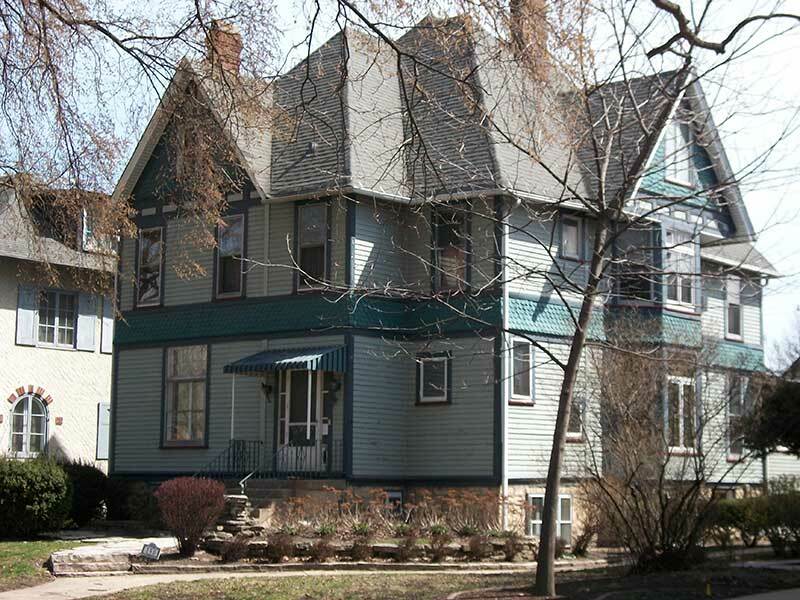 Local architect Chalres White, a personal friend, had suggested the purchase as investment property, and White supervised its conversion into a two-flat for rentals. W.B. paid $4,000 for the property and spent an additional $5,000 for the conversion. 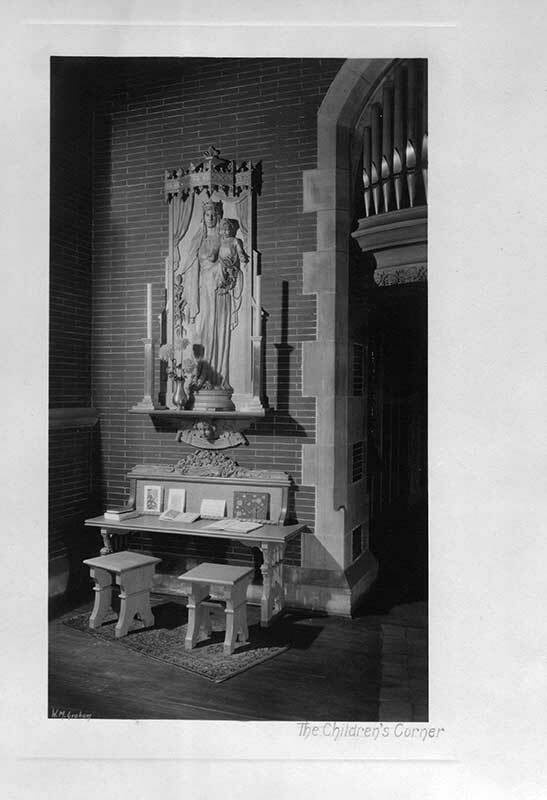 1913-1948 The Gervais family were members of Grace Episcopal Church in Oak Park. W.B. served as senior warden there for seventeen-years. Kate took instruction and became a member of the Episcopal Church. She was very active in the church’s alter guild. 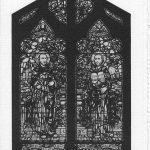 As warden’s wife, she entertained the vestry and sent flowers to the sick. 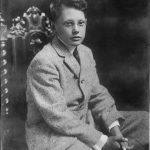 1913-1926 The Gervais’s son Paul attend public schools in Oak Park, Beye School through eighth grade and then Oak Park and River Forest High School, graduating in the class of 1920. He than earned a degree in civil engineering from Cornell University in Ithaca, New York. His father wanted him to return to Oak Park and work in the family business. Paul agreed to do that, only on the condition that he have a year studying liberal arts at Oxford University in England. After that year he did return to the family home and began working. Unfortunately, he had to have surgery on his skull because of osteomyelitis, requiring many months of recuperation. 1927 Paul was an accomplished pianist. To aid in his recovery his parents bought a Steinway parlor grand piano for him to use. WB. 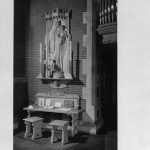 and Kate donated the statue of the Madonna and Child in the Children’s Corner at Grace Episcopal Church in thanksgiving for their son’s recovery. 1935 April 22. At age thirty-two, Paul Gervais married “the girl next door,” Helena Saxby, age twenty-six. 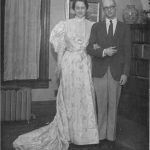 The couple lived in the Elwood Apartments, half a block south of both 150 and 160 N. Elmwood Ave. at Lake St.
1936 Paul and Helena’s first child Katherine Gervais (1936-2004) was born at West Suburban Hospital in Oak Park. 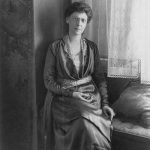 That same year Kate Gervais suffered a mild stroke and could no longer live in a two-story house. W.B. 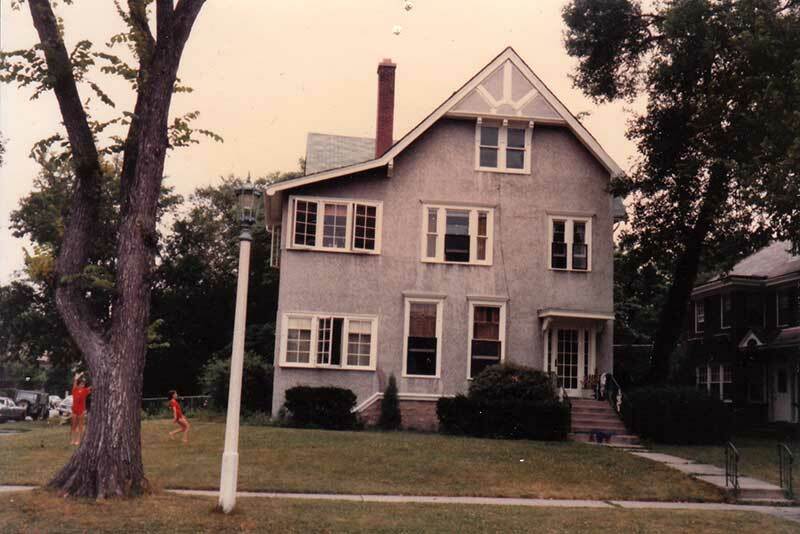 and Kate took over the first floor apartment in their property at 201 Linden Ave.
1939 September 26. At age sixty-nine Katherine Lebby Gervais died of a stroke at the Gervais home on Linden Ave. She was buried at Forest Home Cemetery in nearby Forest Park, Illinois. After her death Kay’s husband Gray Muzzy formally asked Paul and Helena to take responsibility for W.B., a role they gladly accepted. Paul and Helena and their young daughter Katherine moved into the first floor apartment with W.B. It was Katherine who gave her Gervais grandparents the names of Papa and Nana (short a sounds). 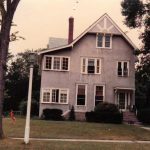 While living at 201 Linden Ave., Paul and Helena had two more children, Paul Trapier Gervais (1940-present) and John Weyburn Gervais (1944-present). 1963 August 3. Paul Gervais Sr. died of a heart attack at age sixty. He was buried in the Weyburn family plot in Rockford, Illinois. 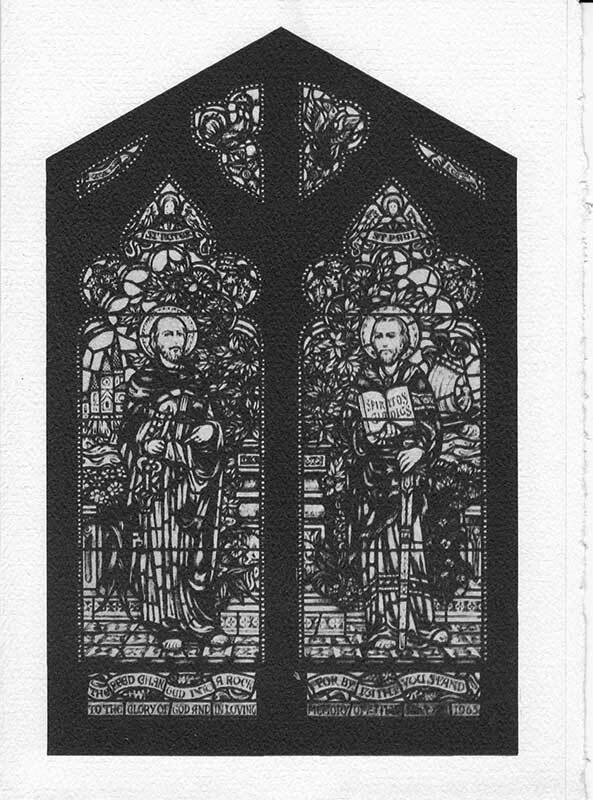 1965 June 20—Paul Gervais’s widow, Helena Saxby Gervais, provided a memorial stained glass window for the west wall of the chancel of Grace Episcopal Church. It was dedicated to the Glory of God and in memory of Wainwright Bacot Gervais, Katherine Grattan Lebby Gervais, and Paul Trapier Gervais. 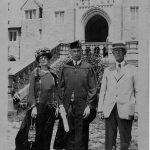 NOTE: Edmund DeTreville Ellis (1890-1995) was the son of Mary (Mamie) Lebby (1857-1943) (the second daughter of Dr. Robert Lebby Jr. and Mary Bee Lebby) and Thomas Edmund Ellis (1858-1919). Thus, he was a first cousin to Katherine Wainwright Gervais and Paul Trapier Gervais, the children of Wainwright Bacot Gervais and Katherine Gratten Lebby. Gervais, Glynne Thomas. Thomas Family Tree on Ancestry. com. McCullough, Helena Gervais. Remembrances. Interviews by Katherine Gervais Trezevant. 1995. 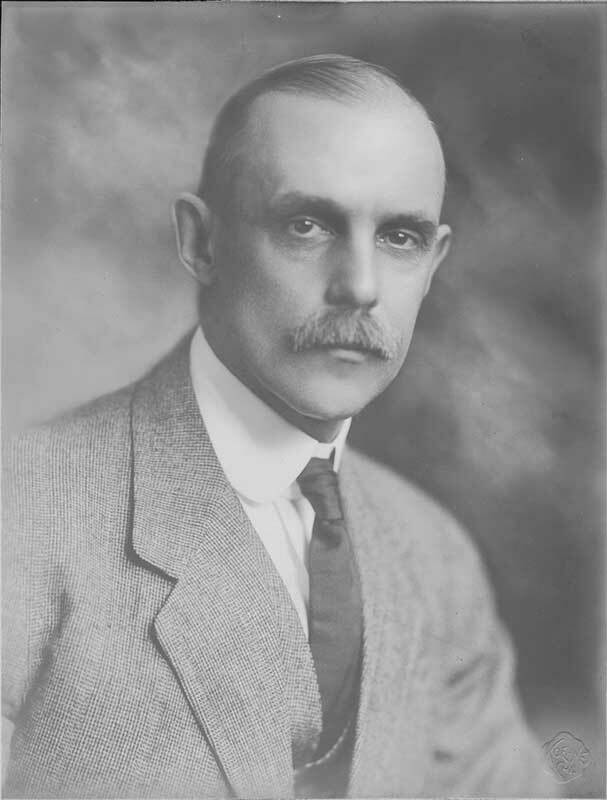 Currey, J. Seymour. Manufacturing and Wholesale Industries of Chicago. 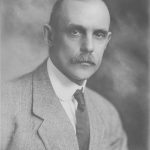 Thomas B. Poole, 1918. Reprints from the collection of the University of Michigan Library, Vol. 2, pp. 363-365.